RED LADIES OF COLORADO by Nadežda Matić | DBP MAGAZINE ONLINE The World's Best Free Whitewater Publication. Editor’s note: Every week on the Dirt Bag Paddlers facebook page we celebrate WOMEN OF WHITEWATER WEDNESDAY, and it was with amazement that today my good friend Nada (a regular contributor to DBP MAGAZINE ONLINE – Thanks Nada!!) 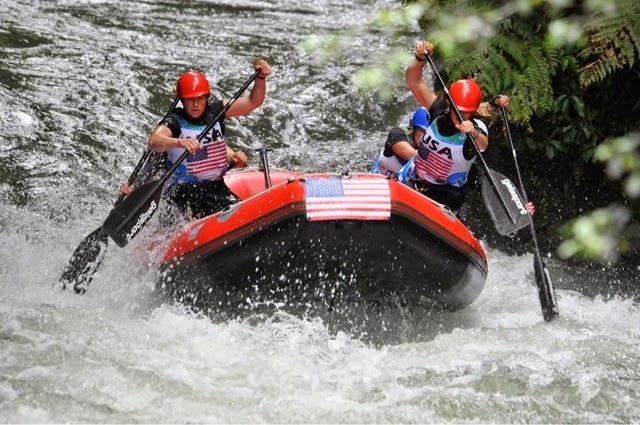 sent me a link to her most recent article for the International Rafting Federation, interviewing just the person I had selected to highlight this week… Julie Sutton!! 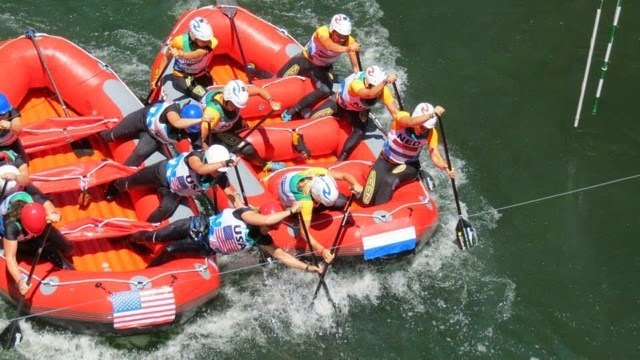 Nada graciously allowed us to run this great interview, and we invite our readers to head over to the IRF homepage (linked below) to read more great stories of raft racing from around the world, as well as many other subjects dear to us such as river conservation. Enjoy! 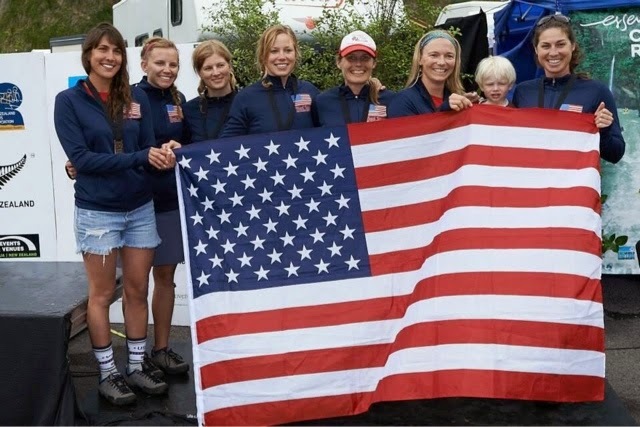 Red Ladies Raft Racing, Colorado, are well known to us (Red Ladies of the USA looking at rafting development long term), but it’s a long time since we last chatted to them. So to find out what has has happened in the meantime we chat to Julie Sutton. ​Hello Julie, it’s been a long time since our last chat. Have there been any changes in the composition of your team? What are the plans for this year and what are the successes achieved in the previous period? We last chatted quite awhile before your departure to New Zealand, where you achieved great success – tell us something about that experience? In 2014 you qualified for R4 WRC Brazil, was it really that hot there? Yeah, I think it was the warmest WRC so far. What were your impressions of the competition? ​“There was a lot of miscommunication, lack of communication and miss understanding while in Brazil, not just because of the language barrier. The communications problems and misunderstandings lead to an impression of lack of organization. Although, we are certain that everyone was doing their best they could under the conditions. In terms of the water running out, we experience that sometimes in Colorado. For us, we went with the flow of things and did our best competing. 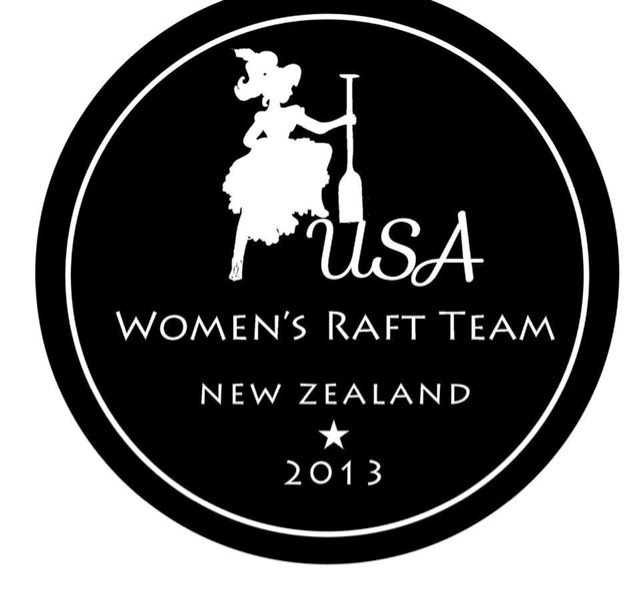 There were half as many women’s teams as compared to New Zealand. The one thing that we had to get used to was the man-made canal as well as going from the “low water” feeling of the canal to the VERY large volume water of the Parana River for the downriver. This year’s WRC R6 is in Indonesia, have you qualified for this or is that still coming up? ​​So, we will have to wait a bit to see which team will represent the USA in WRC R6 ​Indonesia 2015​. ​Until then, we will certainly continue to monitor your work. So here we leave these girls to their training and preparations for their US Nationals. Thank you Julie for chatting to us and we wish you great success at your National Champs.